Moringa seed oil from the ""Miracle Tree"" is a rare premium oil praised since ancient civilizations. The virtues of this powerful, but yet delicate elixir oil have been cited in Roman and Greek books and found in Egyptian tombs. 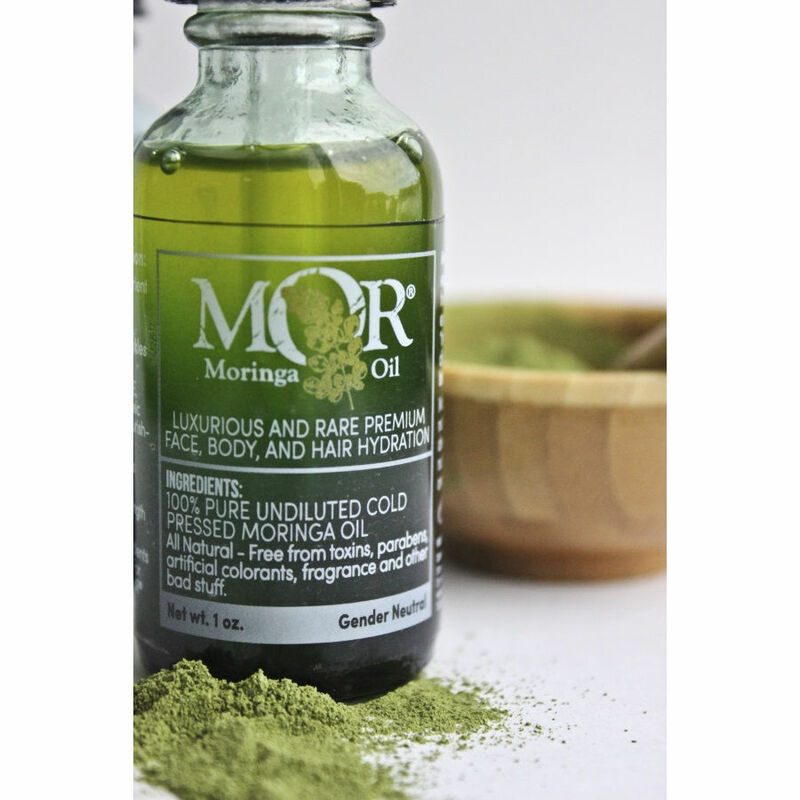 Moringa seed oil has remained a favorite in skin and hair natural health treatment through times. Moringa oil has low tendency to become rancid giving it effective properties for the use in high-end cosmetic products, thanks for its powerful antioxidants! Full of nutrients for the skin and hair, Moringa oil has numerous known virtues including nourishing and emollient properties giving it the perfect balance for the use of both skin and hair. 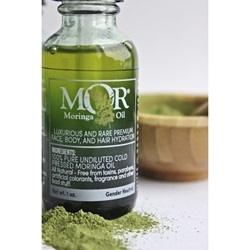 As a natural moisturizer and efficient cleanser, Moringa oil is the most valued natural oil in the world and is used in shampoos and conditioners and other hair care products, lotions, body oils, lip balms, anti-aging and wrinkle creams, face creams, soaps and body wash, perfume and deodorants. Moringa oil is quickly absorbed by the skin as the ideal natural moisturizer without an oily feel. It leaves a nice smooth and glowing tone on skin; this is because of its high amount of omega-9 fatty acid (oleic acid). Among this precious oil's multiple virtues, are its excellent moisturizing, cleansing, low rancid and emollient properties, this is the secret behind its use in numerous cosmetic applications; making this oil rare and desired for the formulation of skin care products and cosmetics. Moringa is the most nutrient dense oils in the world and is an ideal natural supplement to increase the health and strength of the skin, hair and scalp delivering rejuvenating vitamins and minerals to our external body parts with a delicate and pleasant feel without being sticky. 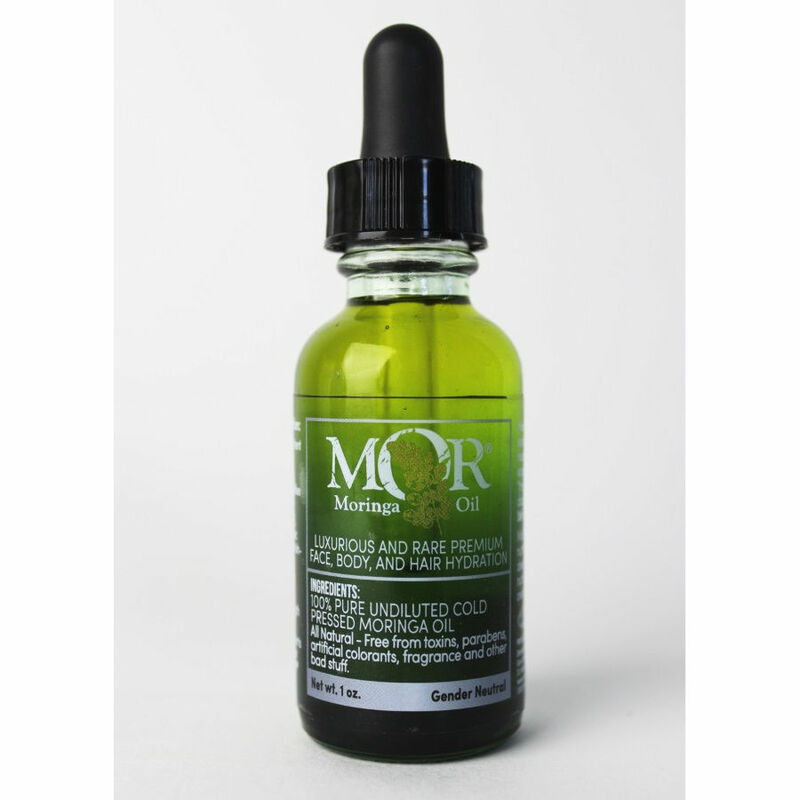 Ethical Moringa oil producers often have a tough time keeping up with the demand for this rare and luxurious oil mostly used only in small quantities in beauty products. Our Moringa seeds oil is sustainably harvested from Senegal, West Africa through our Moringa farm and the collaboration with other local rural community groups. The ""Miracle Tree"" is the ultimate sustainable trees and grows perfectly and naturally in Senegal's high mineral and selenium soils. Moringa trees are found everywhere in Senegal giving us the perfect reliable source to be able to only provide pure raw Moringa seeds oil. Once the oil is carefully cold press it is delivered to our cGMP and organic certified facility in beautiful Western North Carolina where it is then packaged. We care for the people who help us harvest the Baobab fruits and the people who use our oils, us being the only bridge in between.